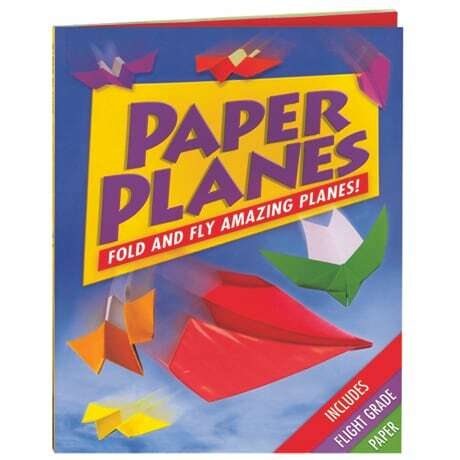 Paper Planes: Fold and Fly Amazing Planes! From dart-shaped speedsters to gliding stunt fliers, and a few strange designs that look more like UFOs, this book offers a collection of 30 paper airplanes to fold and fly. Step-by-step color photos show readers 8 to adult how to make each fold and crease, and the book includes 24 sheets of folding paper, printed in various bright colors on one side to add plenty of visual pizzazz to your planes.